Synergy realized a long time ago that people have limited time and way too many things to accomplish. This was the reasoning behind our one of a kind N95 Mask Fit Testing and Toronto CPR Training course. We wanted to offer our clients a truly distinctive experience, helping them make the most of their precious time and resources. Respirator mask fit testing is not only a health and safety requirement in Ontario, but it is also a crucial element in a personal protective strategy. 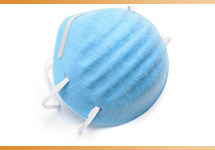 N95 mask fit testing provides the end user with peace of mind knowing that they will have the knowledge and education necessary to select, wear and affectively protect themselves from airborne pathogens in the case of a respiratory outbreak. There is no One-Size fits all approach to respirator saftey! Synergy has been providing leading edge mask fit testing services to the likes of York University, McMaster University, Georgian College, Medix College, Responsive Health Management and countless other educators and organizations throughout Ontario. Take from the experts - we know N95 Mask Fit Testing! 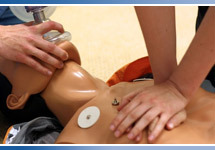 That brings us to another crucial live saving skill - First Aid and CPR courses Toronto. Everyone knows that learning CPR and First Aid is crucial to being able to react in an emergency situation. Whether that is on a hospital unit or in a parking lot, knowing CPR simply saves lives. No one teaches first aid and CPR better than Synergy and no one does it better than the Red Cross. However, learning effectively takes time. If you are one of those people who participated in a 2 hour rush course on CPR --> Think again about exactly what it is that you have learned? Will you have the confidence necessary in reacting appropriately in an emergency? Synergy is a proud national provider for the Red Cross. We have excellent instructors with years of experience, providing what can only be described as a fun, entertaining and information packed session that truly engages our audience. 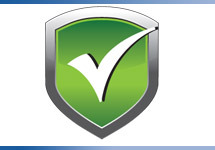 We take it one step further - we offer a N95 Mask Fit Testing and Toronto CPR training combination course. You read that right! 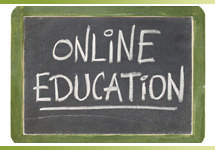 We offer both certifications in one simple and cost effective course. Two certifications - One appointment.